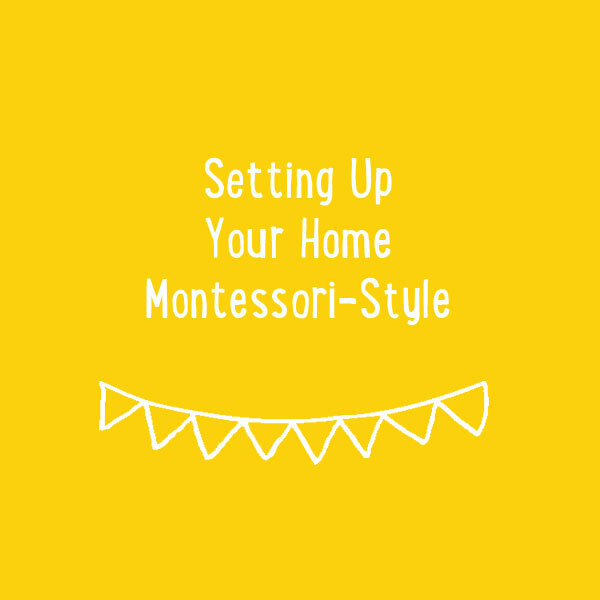 Most Montessori teachers have a favourite age to work with. For me it is working with my toddler friends. People are often confused by this preference. Toddlers can be hard work, they are emotional, and they do not always listen to us. I want to paint a new picture of the toddler. Toddlers live in the present moment. Walking down the street with a toddler can be a delight. While we make lists in our heads of the errands we need to run and what we need to cook for dinner, they remain present and spot the weeds growing up from a crack in the pavement. When we spend time with a toddler, they show us how to be present. They are focused on the here and now. Toddlers pick things up effortlessly. 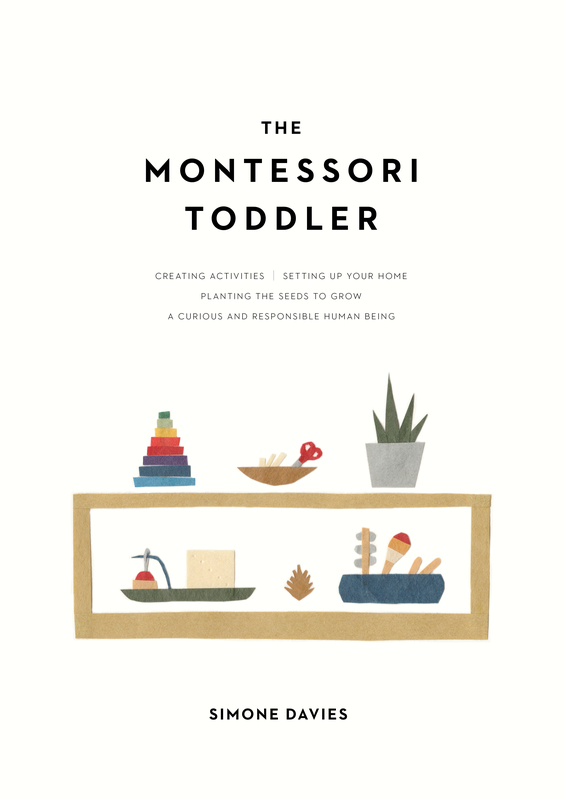 Dr. Montessori observed that children under 6 years old take in everything without effort, just as a sponge soaks up water. She referred to this as the absorbent mind. We don’t have to sit down with a 1-year-old and teach them grammar or sentence structure. By the age of 3 they already have an amazing vocabulary and are learning how to construct simple sentences (and, for some, complicated paragraphs). 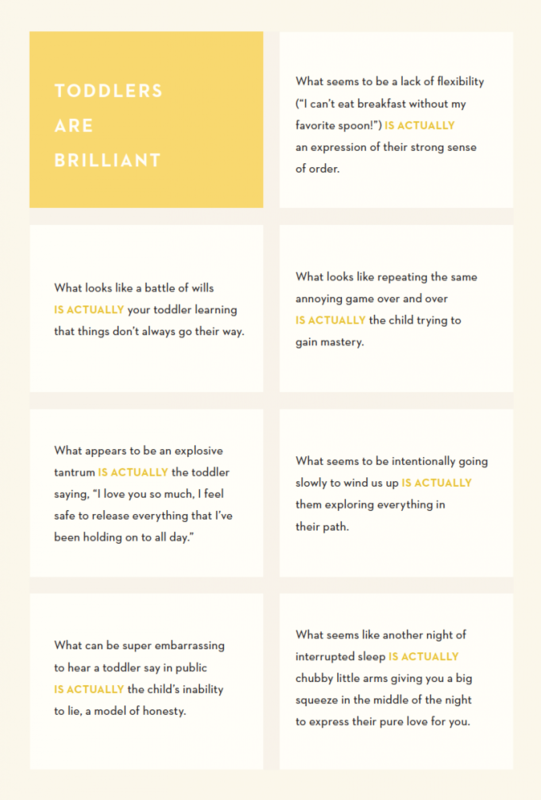 Compare this with learning a language as an adult—it takes a lot of effort and work. Toddlers are enormously capable. Often it is not until we have our own child that we realise how enormously capable they are from such a young age. As they approach 18 months old, they might start to notice that we are heading to Grandma’s house well before we are there by recognising things along the route. When they see an elephant in a book, they’ll run over to find a toy elephant in a basket. When we set up our homes to make them more accessible to our young children, they take on tasks with eagerness, capability, and delight. They wipe up spills, fetch a diaper for the baby, put their trash in the wastebasket, help us make food, and like to dress themselves. One day a repairman came to fix something in our home. I’ll never forget the look on his face when my daughter (then just under 2 years old) walked past him on the way to the bedroom, changed her clothes, put some wet clothes in the hamper, and walked off to play. Clearly he was surprised to see how much she was capable of doing for herself. Toddlers are innocent. I don’t think any toddler has a mean bone in their body. If they see someone playing with a toy, they may simply think, I’d like to play with that toy right now and take it from the other child. They may do something to get a reaction (Let’s drop this cup and see my parent’s reaction) or be frustrated that something did not go their way. But they are not mean-spirited, spiteful, or vengeful. They are simply impulsive, following their every urge. Toddlers do not hold grudges. Picture a toddler who wants to stay at the park when it’s time to leave. They melt down. The tantrum may even last half an hour. But once they calm down (sometimes with help), they go back to being their cheerful, curious selves— unlike adults, who can wake up on the wrong side of the bed and be cranky all day. Toddlers are also amazingly forgiving. Sometimes we do the wrong thing—we lose our temper, we forget a promise we made, or we just feel a bit out of sorts. When we apologise to our toddler, we are modelling how to make amends with someone, and they are quite likely to give us a big hug or surprise us with an especially kind word. When we have that solid base with our children, they look after us, just as we look after them. Toddlers are authentic. I love spending time with toddlers because they are direct and honest. Their authenticity is infectious. They say what they mean. They wear their hearts on their sleeves. Everyone who has spent time with a toddler knows they will point to someone on the bus and say loudly, “That person has no hair.” We may sink down in our seat while our child shows no signs of embarrassment. That same directness makes them very easy to be around. There are no mind games being played, no underlying motives, no politics at play. They know how to be themselves. They don’t doubt themselves. They do not judge others. We would do well to learn from them. *When I refer to toddlers, I’m talking about children from around 1 to 3+ years old.